Woodway drivers searching for a quality SUV that will suit their growing family without breaking the bank can’t go wrong with a pre-owned Dodge Journey. Take a look at our inventory below, then schedule a test drive when you find your ideal choice! New vehicle pricing includes all offers and incentives. Tax, Title and Tags not included in vehicle prices shown and must be paid by the purchaser. While great effort is made to ensure the accuracy of the information on this site, errors do occur so please verify information with a customer service rep. This is easily done by calling us at (888) 350-1851 or by visiting us at the dealership. 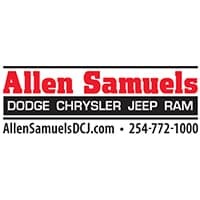 Why Drive a Pre-Owned Dodge Journey? The Dodge Journey continues to make a name for itself, year in and year out. What does this mean for Temple drivers? Even if you opt for a 2015 model year, you’ll get the high performance and clever interior features that you’d expect from a 2019 model. When you’ve found a used Dodge Journey that piques your interest, our finance specialists will help you secure a loan or lease. If you have any questions in the meantime, don’t hesitate to contact us!